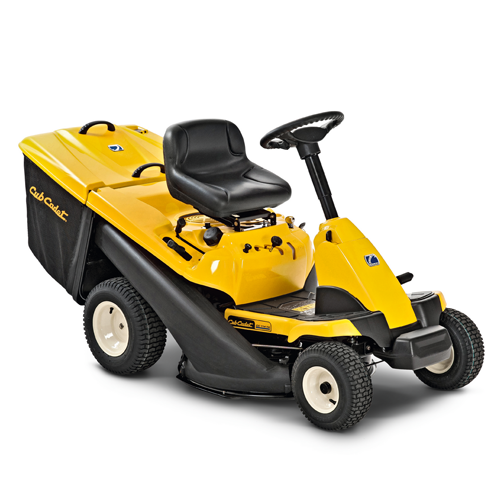 The Cub Cadet LR Mini-Riders deliver the same strength, durability and perfect cut as our larger riders; but in a more compact design - small enough to fit through most garden gates. Thanks to their space-saving design, these Mini-Rider models are almost as compact as a conventional walk behind mower in terms of garage space. LR Mini-Riders are more than just compact; they are comfortable, convenient and unmatched in quality. The compact LR1 FORCE SERIES Mini-Riders are equipped with electric start and a powerful Cub Cadet petrol engine.With its space-saving design and removable grass box on the rear collection models, the LR1 Mini-Riders do not need much more space in your garage than a normal walk behind lawnmower.The Cub Cadet LR1 NR76 is ideal if you want the choice of how to dispose of your grass clippings; collected, discharged or mulched.If you are looking for an excellent mulching lawnmower with the opportunity to side-discharge the clippings then the LR1 NS76 is the perfect choice. The LR2 Mini-Riders deliver the same strength, durability and cutting performance as our larger lawn tractors, just in a more compact design. 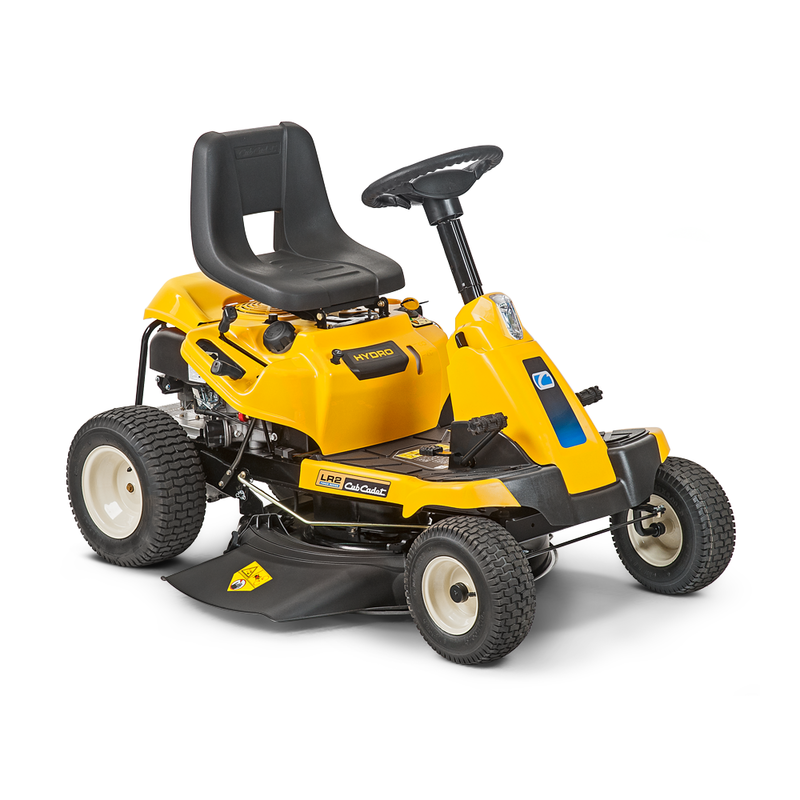 Benefitting from smooth hydrostatic transmissions, integrated LED lighting and reverse mowing technology, the LR2 Mini-Riders are fully equipped and easy to handle. With optimum control, cutting edge technology and a choice of cutting options, these Mini-Riders will help you get the job done quickly and comfortably.